The accolade owes much to Kim Gehrig's barnstorming year, but there was also terrific work from Daniel Wolfe and Aoife McArdle. Sport England's "this girl can"
It’s not every year that you can point to a director and say with certainty that they are the industry’s hottest. The last time a blindingly obvious candidate arose was 2013, when Outsider’s James Rouse announced himself as a proper talent with ads for Marmite and Harvey Nichols. But few would argue that 2015 belonged to Kim Gehrig and, with her, Somesuch. Gehrig, an Australian director who was previously a creative at Mother, put her stamp on 2015 with two of the year’s biggest ads. 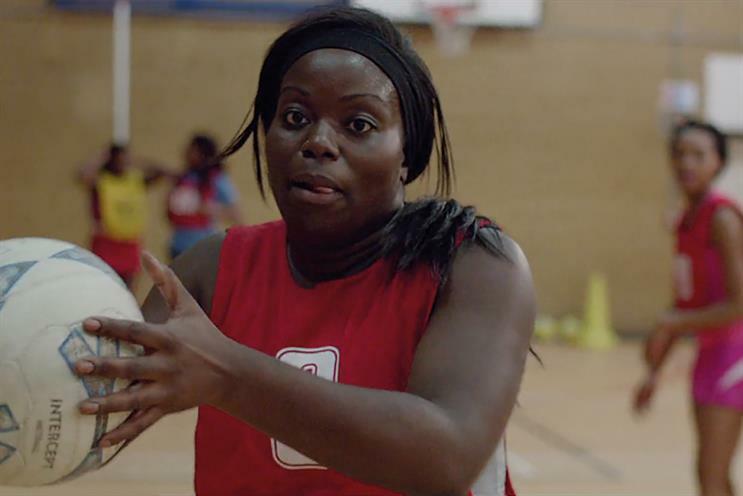 First was "this girl can" for Sport England. The film delivered perfectly on the brief to make something disruptive that encouraged women to take up sport, by presenting a normcore Nike ad – cellulite and all. And then Gehrig handled the biggest job in advertising: the John Lewis Christmas ad. It’s a project that comes with a unique level of scrutiny and the resulting spot, "man on the moon", stood up well to the expectations and analysis, and brought to life a tricky script. Of course, having the hottest director does not guarantee winning Campaign’s Production Company of the Year. Impressive as Gehrig was – even on the more low-key "stepping" for Honda’s HR-V – Somesuch’s year was not defined by just her success. Daniel Wolfe, fresh from directing one of last year’s standout ads (Honda "the other side") for Wieden & Kennedy, was rewarded by the agency with the job of filming the Three spot – a gloriously fun affair with a Jim Henson puppet and an East 17 soundtrack. Also impressive was Aoife McArdle, who was behind the camera on Honda’s big brand campaign in the UK this year ("ignition" by Wieden & Kennedy London) – a big and noisy ad with plenty of little Easter-egg details from the car-maker’s past. 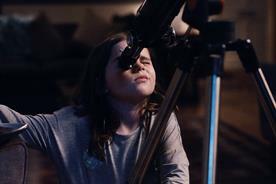 But McArdle, who joined Somesuch in January 2014, best showed her talents in a Samsung spot called "feel more". The gorgeously shot film featured close-ups of people emoting, lit only by the reflected glow of a television screen. It was a simple idea but so excellently crafted that it marks McArdle as one to watch. Somesuch has not been short of industry recognition either. 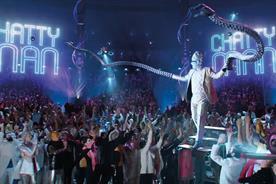 It was the most-awarded production company at the D&AD Awards and the third-most-awarded at Cannes this year. All told, it was an outstanding year for Somesuch – which is only five years old – and one that the founders, Sally Campbell, Nick Gordon and Tim Nash, will be proud of. As usual, it was Dougal Wilson who led the way for Blink’s ad output. The director was responsible for Ikea’s "the joy of storage" and John Lewis Insurance’s "tiny dancer". The first was a visually arresting technical triumph and the second a heart-warming hit with the public. Both showed why Wilson is one of the industry’s favourite directors. The Layzell Bros also contributed to Blink’s strong advertising year with the "shoplifters" film for Harvey Nichols, as did Nick Ball with the funny "you can make it" spot for Pot Noodle. Meanwhile, Blinkink’s Elliot Dear animated England’s rugby players in an impressive Disney-style ad for O2. Indeed, Blink is impressive for its rounded offer. As well as traditional advertising and animation, it has a successful photography division (Blink Art), which won a silver Lion at Cannes for its Temptations activity, a burgeoning agency/production company hybrid that serves luxury brands (White Lodge) and long-form specialists that have been commissioned by Disney and Nickelodeon. Thank goodness for Jeff Low. You could hand the director a government white paper on irrigation instead of a script and he would still find the laughs. This year, Low was responsible for amusing work for Pizza Hut, Lotto and Tena Men. Noam Murro also impressed with "Colin" for Moneysupermarket.com. Ditto Andreas Nilsson, who shot the wonderfully bizarre "silver skaters" for Rekorderlig and the disturbingly bizarre "headstand" for Travel­supermarket.com. A confident performance from Biscuit Filmworks’ roster of talent. Rogue is not a regular entry in Campaign’s Production Company of the Year but it had a superb 2015, with high-quality work for a variety of brands. Sam Brown was at the forefront, with spots for Lloyds Bank ("horse story") and Virgin Atlantic ("the idea"), among others. Both showed his knack for cramming a lot into 90 seconds. 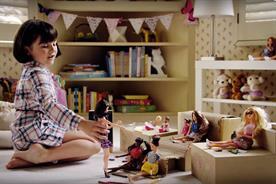 Brown also got to show off a bit with the epic "set yourself free" animated ad for Freeview. Mark Zibert was on top form, too, with Argos’ frenetic "just can’t wait for Christmas". Argos 'Just Can't Wait For Christmas' from Rogue Films on Vimeo.